Whitworth University will welcome Temple Grandin, Ph.D., to its campus and to the Spokane community on Feb. 19-20 for a series of lectures sponsored by the Whitworth Center for Gifted Education and the university’s special education department. 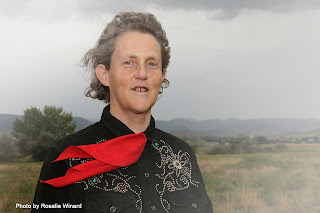 Grandin is the most accomplished and well-known adult with autism in the world. Her fascinating life, with all its challenges and successes, has been covered by countless media outlets, as well as by the movie industry. Over two days, Grandin will present three lectures. Her first is as featured speaker at the Whitworth Gifted Education Institute, where she will present “The World Needs All Kinds of Minds,” on Friday, Feb. 19. The second, “Helping Different Kinds of Minds to be Successful,” will be held later that same day at North Central High School. The final lecture, “Understanding Animal Behavior,” will be on Saturday, Feb. 20, in Weyerhaeuser Hall at Whitworth University. Leppien, a national leader in gifted and talented education, joined Whitworth University in 2013 as its inaugural Margo Long Chair in Gifted Education, an endowed chair funded by James P. and Wanda Cowles. Endowed faculty chairs strengthen the intellectual vitality of Whitworth University by recruiting and retaining distinguished scholars who are innovators in their disciplines. Temple Grandin is the featured speaker at Whitworth’s Gifted Education Institute on Friday, Feb. 19, at 8:30 a.m.-3:30 p.m. in Cowles Auditorium at Whitworth University, with additional presentations from faculty from the Whitworth Special Education Department. This institute highlights the role that educators can take to encourage “2e” or “twice-exceptional” students: learners who are cognitively advanced, yet whose talents may be overlooked due to a disability (often ADHD or an autism spectrum disorder). Strategies and practices will be provided to address the range of diverse academic and emotional needs of such students. For more information, please visit the Whitworth Gifted Education Institute page. Registration fee is $125 (please reserve tickets at www.whitworth.edu/giftedinstituteregistration). Whitworth faculty, staff and students may attend Grandin’s key-note speech for free. Register at templegrandin-whitworth.eventbrite.com. Temple Grandin will share her personal story, as well as her insights into the vibrant populations known as exceptional children, on Friday, Feb. 19, from 7-8:30 p.m. in the North Central High School Auditorium (1600 N. Howard St., Spokane, Wash.). Included among the exceptional children and adolescents whose needs Grandin will address are gifted students as well as those who have intense support needs. Admission is $20; please reserve tickets at www.whitworth.edu/communityevent. Join Temple Grandin, an expert on animal behavior, on Saturday, Feb. 20, at 10:30 a.m.-noon in Weyerhaeuser Hall at Whitworth University. Grandin has designed humane handling systems for half the cattle-processing facilities in the U.S. and is a consultant with the meat industry in developing animal-welfare guidelines. In this presentation, Grandin will draw from her years of research and her own experience with autism to provide insights into how animals think, act and feel. Admission is $20; please reserve tickets at www.whitworth.edu/communityevent. The Center for Gifted Education, Whitworth University, (509) 777-3226 or gifted@whitworth.edu.